Can You Really Artificially Pump Account Quality Score? There’s a persistent ‘grey technique’ that’s been mentioned offline a number of times that centers around the theory that you can artificially pump your account-level quality scores in Adwords by paying a ‘QS-tax’: bidding on and directing traffic straight through to the top Adwords advertisers that have the lowest possible (read .01c) minimum CPCs on their brand terms. 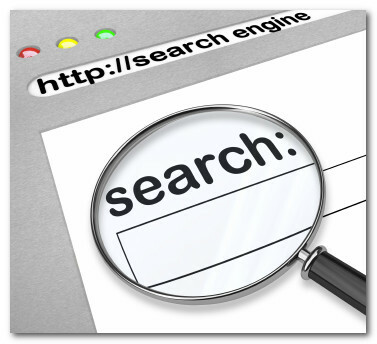 -You create a new search campaign in Adwords that has one or two keywords and one adgroup only. -In the destination URL, put the site’s usual URL (In this case, www.expedia.ca) and send the traffic directly to the brand. -Set your campaign’s daily budget to like $50/day and let it rip. Why would I buy ads for Expedia and send that traffic to them for free? The theory is that doing this can raise your entire account’s Quality Scores. Well, obviously Expedia.ca is going to get a 10/10 for the term [expedia]. And of course there’s different minimum bids for a 10/10, but in this case, you’re looking at a .01 minimum bid. Pretty well as low a bid as you’ll ever see on Adwords. Your CTR on the exact match brand term with the exact ad that the brand uses is likely to be in my testing about 45% +. That nice CTR is about as good as you’ll find on Adwords as well. Proponents of this technique suggest that the account Quality Score lift that you get from paying this $50 daily fee or “Quality Score Tax” makes it more than worthwhile. Simply put: No. While it’s true that above-average CTR and keyword Quality Scores across ALL of your campaigns can lead to a better account-level Quality Score, artificially simulating this type of performance in your account via this technique isn’t going to move the account Quality Score needle. It’s just not. Unless you only have one other campaign in your account to influence upward with this approach, one campaign with one adgroup, keyword and ad isn’t going to have a significant enough impact to move your entire account up the account Quality Score ladder. If anyone can conclusively prove that this technique definitively moves the needle in terms of raising account-wide Quality Scores, ping me and I’ll post your proof. Today’s announcement from Google of their new seizure-inducing “Google Instant” search-as-you-type invention immediately made me stop and wonder (after rubbing my eyes from the headache of using it) how Adwords would count impressions on ads as they flash by in milliseconds. Hat tip to David Szetela for tweeting out the update Google has just posted in their Adwords support section. 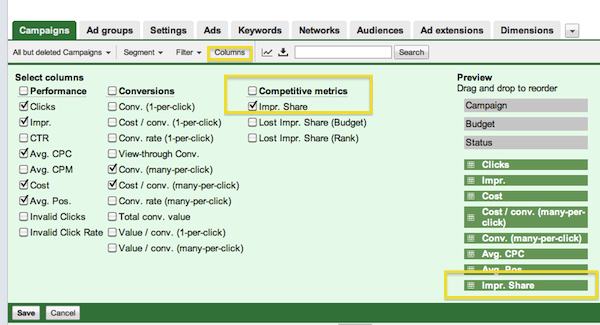 We recommend monitoring your ads’ performance the same way you usually do. Google Instant might increase or decrease your overall impression levels. However, Google Instant can improve the quality of your clicks since it helps people search using terms that more directly connect them with the answers they need. Therefore, your overall campaign performance could improve. So as usual, if they stick with this as a default option and too many people don’t opt out, they think they’ve got it covered but “monitor your campaigns’ performance just in case it screws up”. The great thing about web analytics packages is that they are very powerful tools. The downside of web analytics packages is that they are very powerful tools! The sheer amount of data, and the complexity of reporting tools, such as Google Analytics, confuse many marketers. What can be overwhelming for the beginner can be just as overwhelming for the expert. The trick lies in knowing which data is important. We can determine the importance of data by linking it back to clear business objectives. 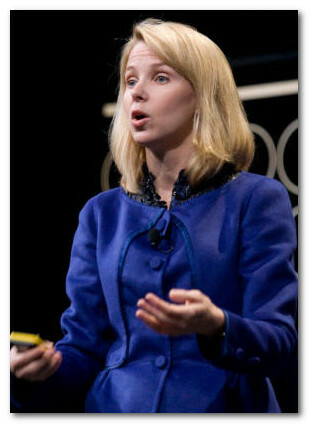 Google’s Marissa Meyer, places a lot of importance on metrics. So much so, some graphic designers have left Google, frustrated by what they perceive as Google’s “data-centerism”. Google approach design this way partly because they are maths geeks but also because Google made a business decision to put the user and user activity central to to their companies mission. Google reason that what is good for the user is also good for Google. 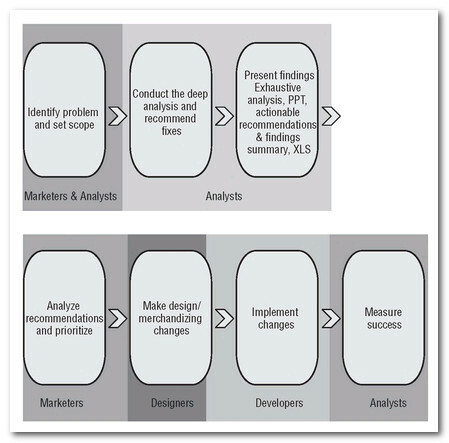 Analytics should be customer behavior centric – i.e. did people get where they needed to be? Did they buy? What problems are they experiencing? Analytics should solve business questions – i.e. how can we improve revenue by 15%? What is the most influential content on our website? It can be fun to plot historical numbers against each other. “Wow! 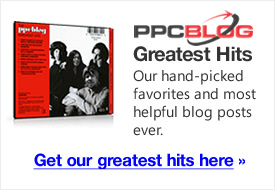 We’ve received 1000 more visitors for our PPC campaign than last week!”. Analytics tools certainly encourage us to count numbers and present these numbers on pretty charts. It certainly looks impressive. But what this data really mean, in a business sense? Without clearly defining business goals linked to measurement, not a great deal. For example, we may have received 1000 more visitors than last week, but our cost of customer acquisition went through the roof. Why did that happen? Was that event linked to the increase in traffic, or was there some other reason? Clear business goals, in the form of questions, help us know which data points to focus on. Ask a series of questions related to your business. “What is the cost of cost acquisition? What content drives the most sales?” Pick out the data that answers these questions, and or setup tracking that will achieve this end. The data we use, and the tracking we set, will be different, of course, depending on our individual business needs. However, by starting with a list of clear questions, we stand a good chance of knowing which data is most important. It can also help focus what we do, and our organizations, around data analysis. In Web Analytics: An Hour A Day, Avinash Kaushik outlines a seven step method for creating a data driven culture in your organization. 1. Go to the bottom line first – the clickstream is fun, but what you really want to know is teh answer to business questions, such as revenue, profits, profit margins, product mix etc. 2. Do analysis, not reporting – pretty charts are fun, but what do they really mean in terms of your business? 3. Depersonalize decision making – Take a leaf from Google’s book. Get rid of the politics of personality. It doesn’t matter who came up with the idea, the data should drive decision making. 4. Be Proactive, rather than reactive: If we think we need to make action X, what will the data look like that would support such a decision? Learn to recognize emerging patterns. 5. Empower everyone – everyone should be a data analyst. If a designer wants to know wether she should use this form or that, she should be looking to the analytics data for guidence. 7. Apply process: Adopting an analytics process helps you become data driven. Process is repeatable and ensures everyone is on the same page. I recommend Avinash’s great book on Google Analytics. Also check out his website, Occams Razor.